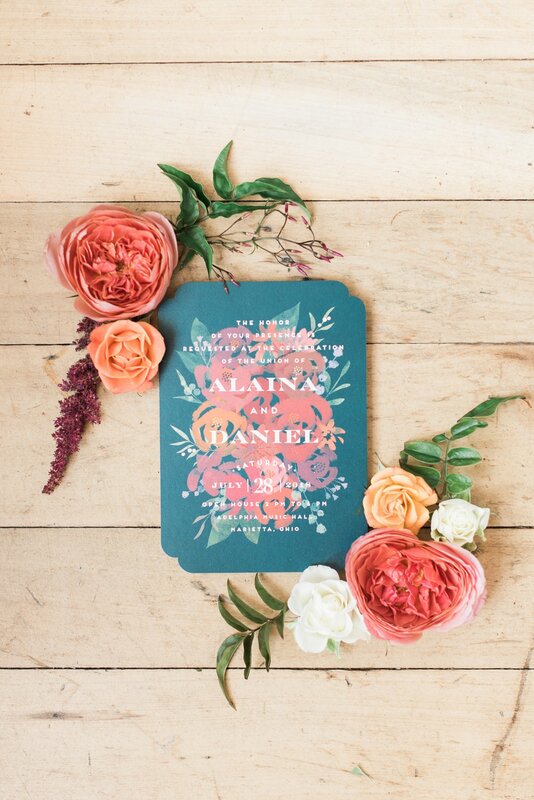 Alaina and Daniel's wedding day had to be one of the most relaxed, intimate, gorgeous wedding days ever. 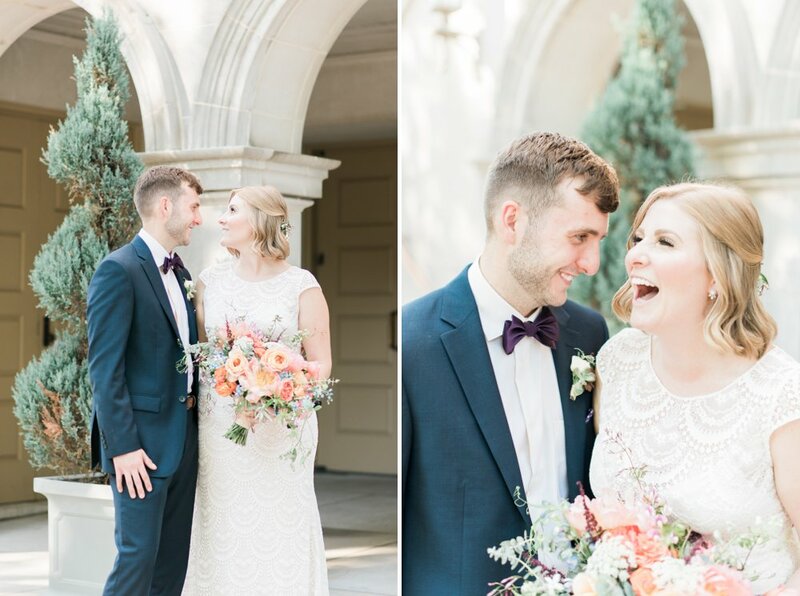 Their excitement to be married was just palpable -- the photos of them walking down the aisle as husband and wife say it all! It was such an honor getting to witness and capture this joy-filled day. The wedding morning started with Alaina and her bridesmaids getting ready at Passiflora Studio. 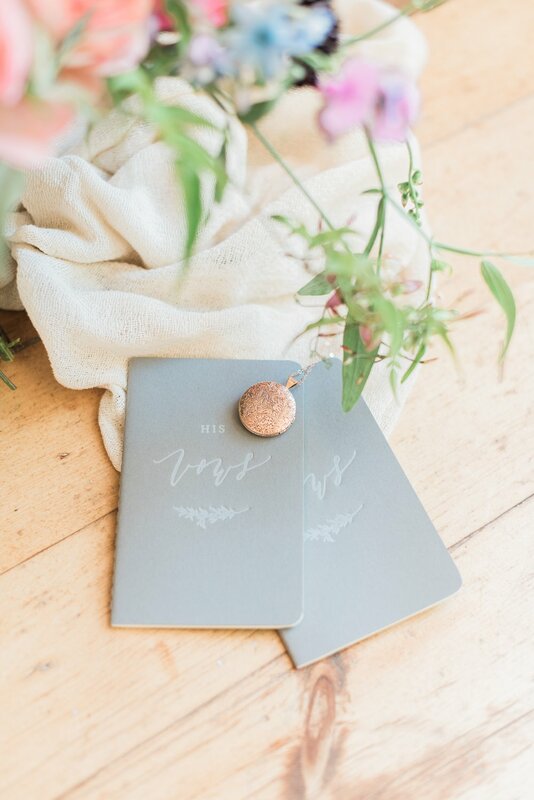 This beautiful space belongs to Caroline, the magic-maker who designed all of their jaw-dropping floral arrangements! Photographing sweet Alaina and her girls amidst all the flowers, exposed brick, and window lighting of Caroline's studio was a DREAM. 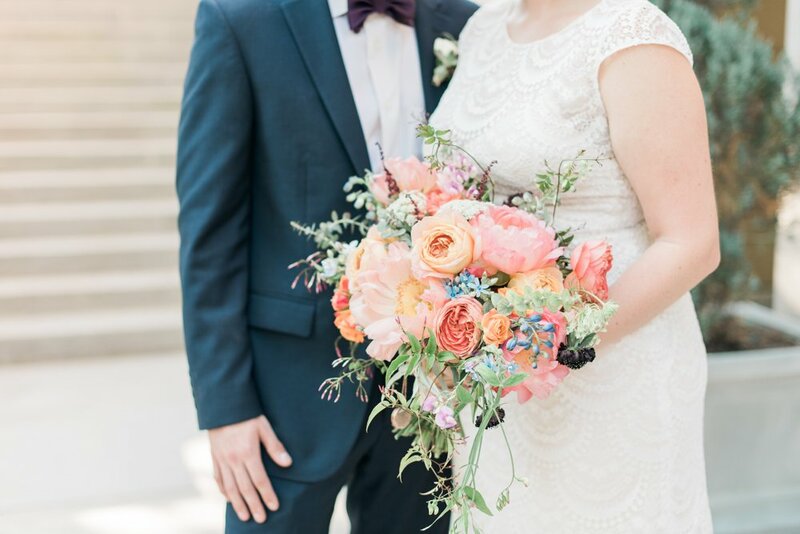 Alaina picked the most perfect dress, and was such a gorgeous bride! 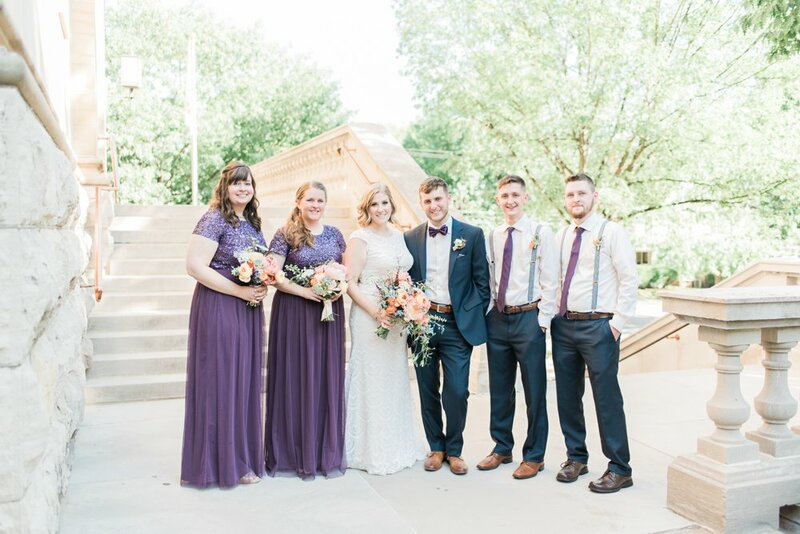 Alaina and Daniel's ceremony took place at the Basilica of St. Mary, in front of a small group of close friends and family. 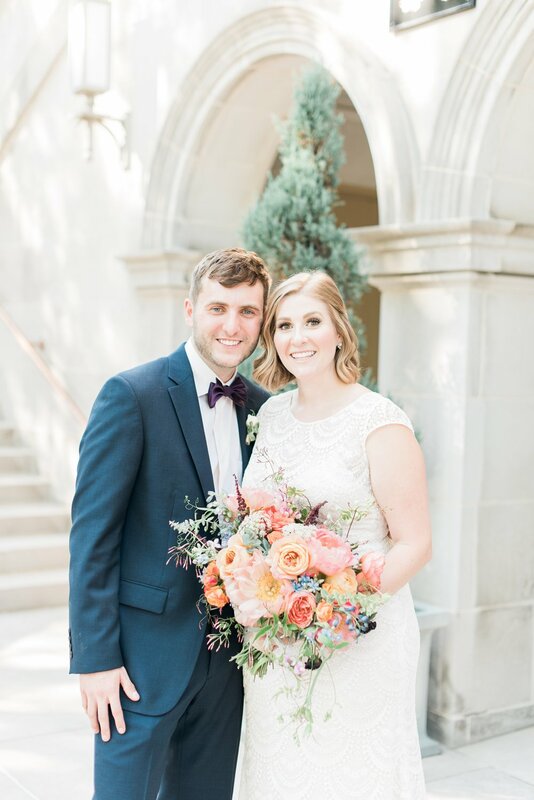 After their ceremony, they celebrated with cake and punch at the Adelphia Music Hall before heading out to take pictures. 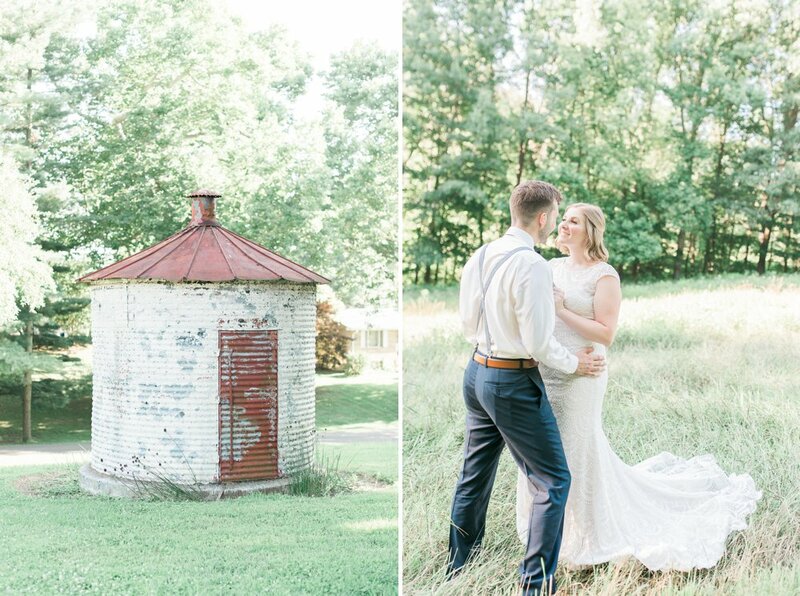 Truly, we were spoiled with gorgeous locations all day, especially since Wildroot Flower Co. allowed us to use their beautiful farm property for photos. 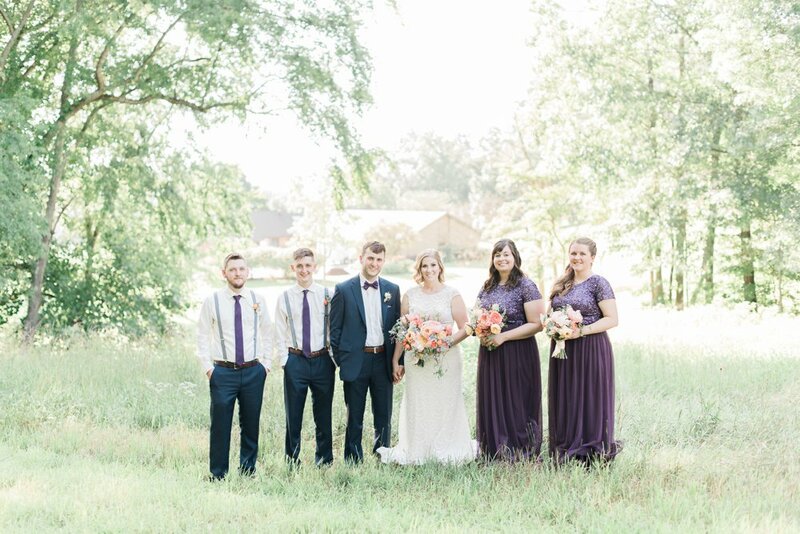 Not many couples would be willing to trek out to a field in nearly 100 degree heat in wedding clothes for pictures, but Alaina and Daniel were champs and made it happen, along with their MVP bridal party. 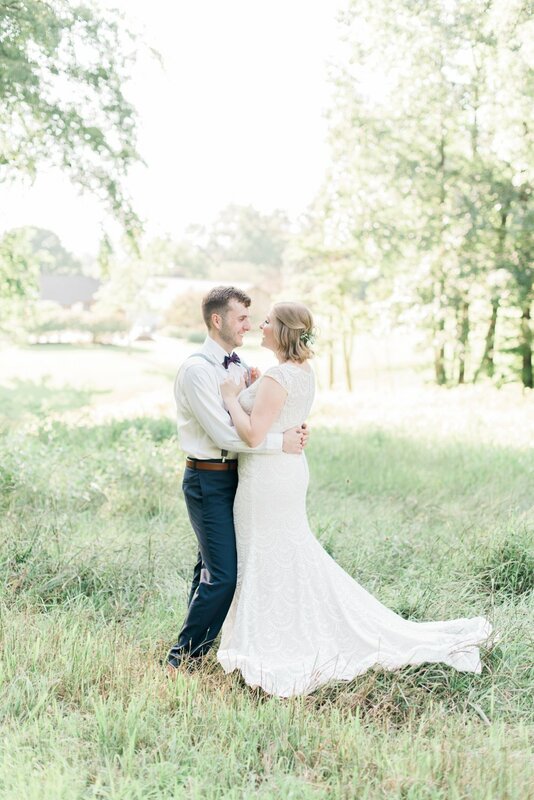 My photographer heart was so happy! In the evening, Alaina and Daniel came back to Adelphia to enjoy an intimate dinner reception with fourteen of their close friends. 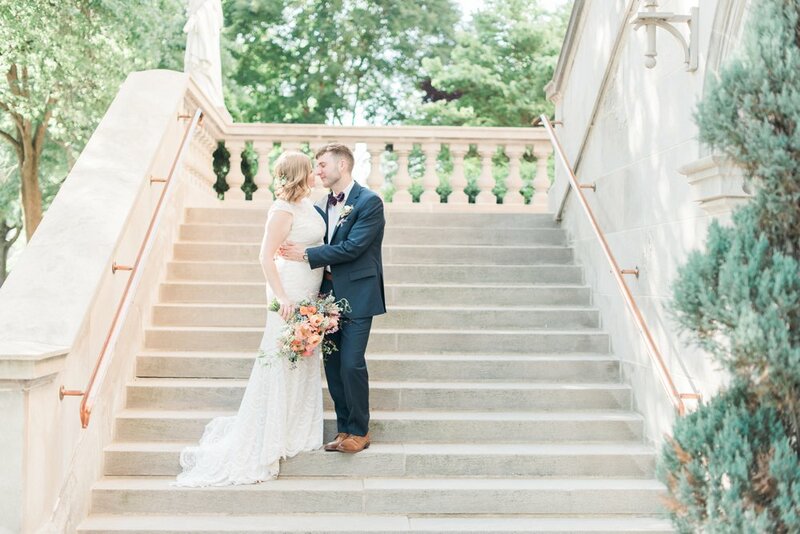 The whole day could not have been more lovely or more perfectly suited to this sweet, sweet couple. I love how they designed it to be exactly what they wanted! 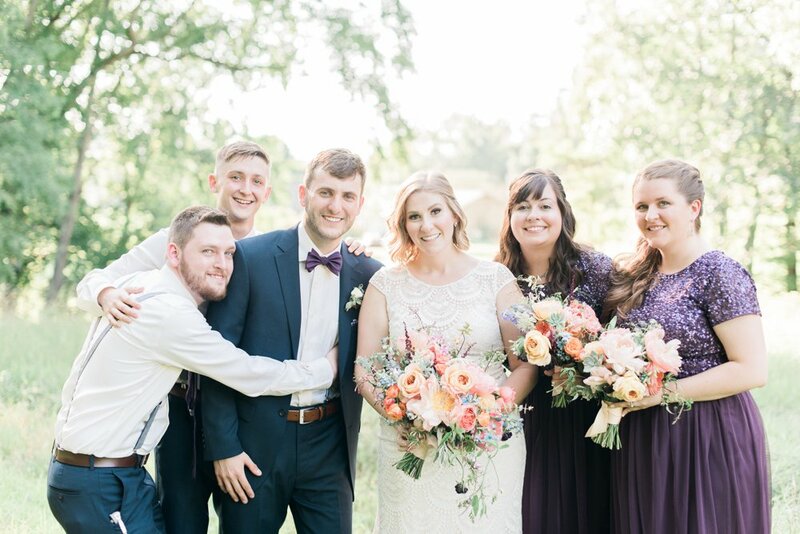 Alaina and Daniel, you two are so kind and inspiring, and your wedding reminded me of all the best things I love about my job. Thank you both SO much for letting me be a part, and happy honeymooning!